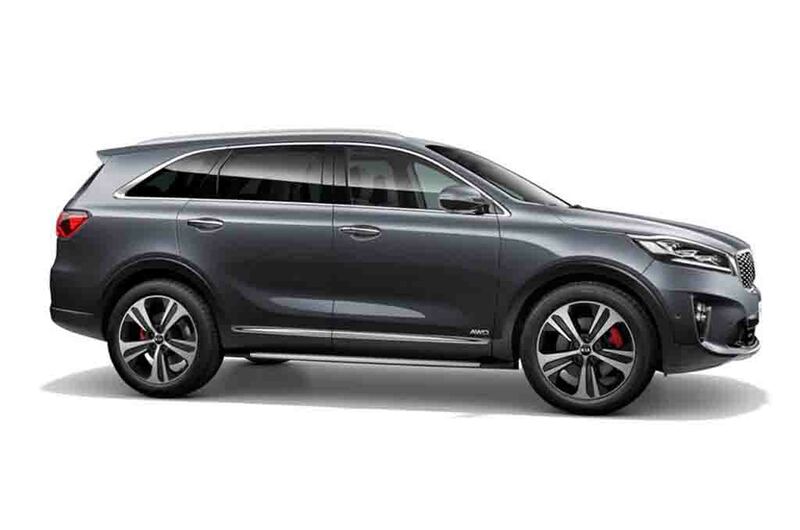 Kia has unveiled the facelifted version of Sorento SUV at Frankfurt. The Kia flagship SUV becomes more muscular ad bold looking with little design tweak at exterior. Apart from that, it becomes more attractive inside the cabin thanks to the updates and there is a new 8-speed automatic transmission introduced to the 2018 Kia Sorento. The car is expected to arrive in India by 2019. The 2018 Kia Sorento sports a new front grille with extensive chrome garnishing. The top-end GT-Line trim of this big SUV features fog lamps with quad LED units, red brake calipers and chrome finished exhaust tip as standard. Apart from that, the rear bumper and taillights too apper slightly revised. However, the basic design of this SUV remains same as the pre-facelift model. The Kia Sorento’s interior has become more upmarket and appealing thanks to the premium features a gets. There is a new larger 8-inch touchscreen infotainment system with TomTom satnav, Apple CarPlay and Android Auto. It offers wireless mobile device charging facility to the occupants. 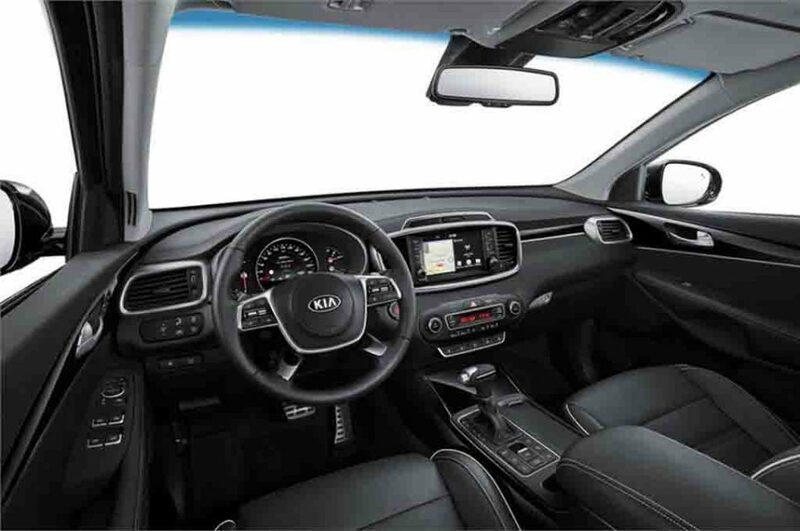 The seat and upholstery materials have been improved and the GT-Line trim of Sorento receives premium Black leather seats with contrasting Grey stitching. 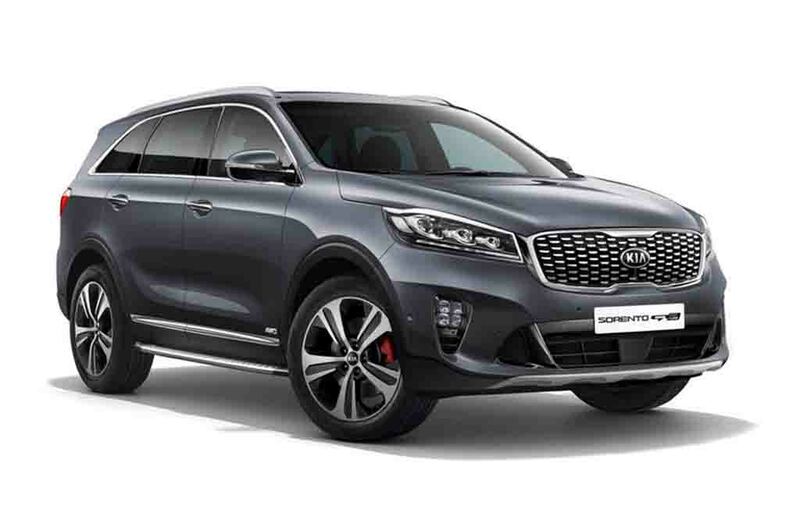 On the powertrain front, Kia Sorento facelift retains the same engine options that include a 2.4-litre petrol engine generating 188 hp of peak power, 2.0-litre diesel engine kicking out 185 hp of peak power and a 200 hp producing 2.2-litre oil burner. However, the addition of the new 8-speed automatic transmission increases its appeal further. Apart from the new transmission, 2018 Kia Sorento gets a 6-speed manual transmission and a 6-speed automatic unit as well. 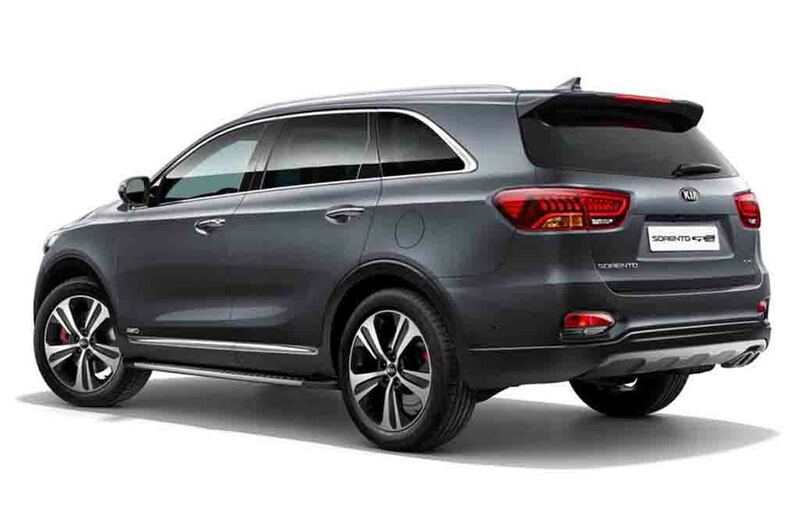 The 2018 Kia Sorento will be available in both FWD and AWD options, just like the current model. Kia is prepating to launch its cars in the domestic market in 2019 and ahead of that the South Korean auto major is likely to showcase a range of products at the upcoming 2018 New Delhi Auto Expo. The updated Kia Sorento SUV is expected to be one of them.